Teen Read Week Is Almost Here! 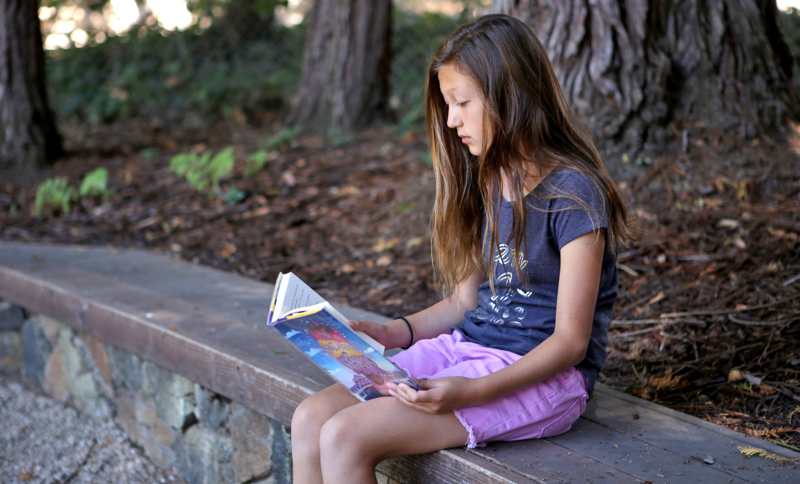 Teen enjoying a book outside in the Woodside Library garden. Teen Read Week is also when the Teen’s Top Ten Books of 2017 will be announced. The Teen's Top Ten is chosen by teens and only teens! There’s still time to vote for your favoritesopens a new window. Quick vote before Teen Read Week is over! Send Us Your Book Reviews! Celebrate Teen Read Week at San Mateo County Libraries by giving us reviews on what you’re reading! If you’re in grades 6-12, fill out the submission formopens a new window to send us your review. You’ll be entered to win a stack of books from the Teen Top Ten nomination list and we’ll even sneak in a few books by authors attending YANovCon for good measure. There will be one winner from each of the San Mateo County Libraries, so your odds are really good. Go ahead and submit a review for your chance to win! It can be a review of a book, audiobook, graphic novel, or comic. Use the guidelines on the submission form to help you write your review. Make sure to also check out our awesome FREE teen events. Learn how to create your own stop motion movie! We will supply iPads, toys, figurines and other materials you might need to create your awesome animated movie. Are you up for a challenge? Can you make a movie in 72 hours? Enter the 72 Hour Movie Making Challenge for a chance to win awesome prizes! Get ready for the 3rd annual YANovCon. A chance to meet authors of books for middle and high school youth (and anyone else who enjoys their writing). There will be lots of awesome authors including: Ellen Hopkinsopens a new window, Andrew Smithopens a new window, Greg Neriopens a new window, Jeff Zentneropens a new window, Lamar Gilesopens a new window, Stephanie Kuehnopens a new window, Gretchen McNeilopens a new window and many, many more.The half day convention features: panel discussions, author hangouts, and book signings. Save the date, Saturday, January 27, 2018. What book are you going to review? Let us know in the comments.